In an age of accelerating change—with so many decisions that must be made more rapidly than ever—skillful decision-making has become a critical requirement for success and happiness. 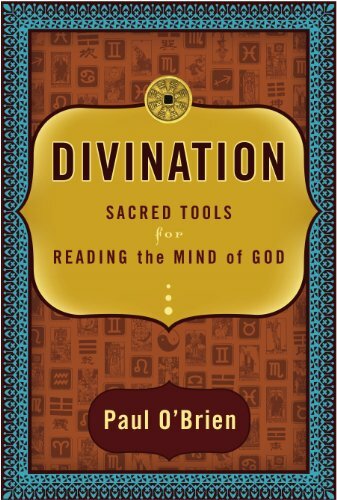 Divination: Sacred Tools for Reading the Mind of God is the first book that focuses on the world’s five classical systems of divination—Astrology, Numerology, the I Ching, the Tarot and Runes—and how they can best be used to support better decisions, better relationships and less stress. Paul O’Brien, I Ching author and founder of Tarot.com, differentiates between these highly evolved systems and scams like psychic fortunetelling. He explains the psychological dynamics of how the spiritual archetypes in classical divination systems can stimulate our intuition to resolve issues and problems that logic can’t handle. history of divination systems, including their persecution by dogmatic and fundamentalist religions. Citing chapter and verse, the book shows how the Bible records the approval of divination by the God of the Jews, Christians and Muslims. Included are true stories of the successful use of divination systems in modern life to show the reader how to manifest her or his heart’s desires—for greater success, more love and happiness—with the help of sacred power tools.